What should your kids be eating daily? 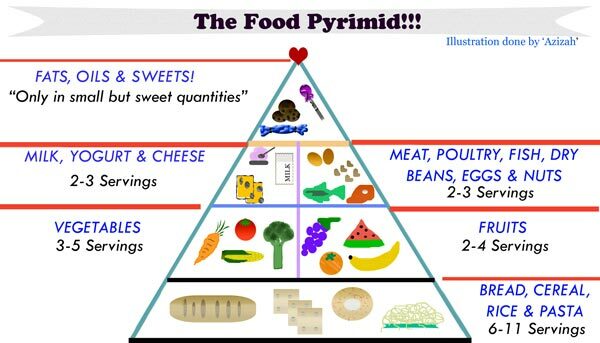 Here is a general food pyramid I have drawn based on the standard and accepted servings of the various food groups, that we should all be consuming on a daily basis. Don’t forget to add your 8 glasses of water to this! Let us ‘all’ raise a healthy & happy generation of active and well-fed kiddies!